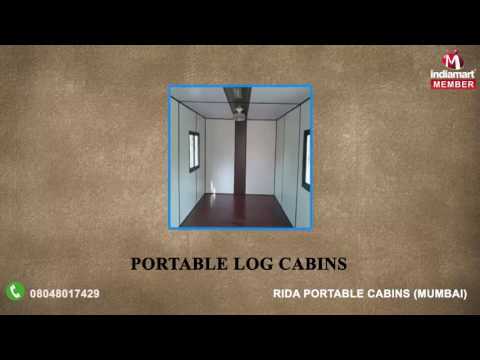 Rida Portable Cabins, is the fastest growing Manufacturer and Supplier firm that is responding to the stakeholders with assurance of quality and timely delivery of Portable Cabin and Structures. The ethos of nurturing innovation makes us able to develop a wide gamut of products, which includes highly demanded Portable Cabin, Security Cabin and Porta Cabin. We stretch ourselves to bring forth cost efficient product range that earned us huge acclamation for its comprehensive attributes of heavy duty performance, rugged fabrications, international design standards, all weather performance, spacious interiors, superior thermal insulation, ease of installation and maintenance free life. We put utmost focus on the offered quality; hence we carefully select trained and skilled experts to deliver state of art installation services.